Maple Sweet is the ideal location for that group getaway. Located 2 hours north of Toronto in the beautiful Grey Highlands, on the edge of the Beaver Valley and the Blue Mountains and a short drive from the amenities of Owen Sound, Collingwood and Meaford in the hamlet of Rocklyn. With shared accommodation and self catering, we offer a more affordable option than a hotel or B & B for groups as large as 16. 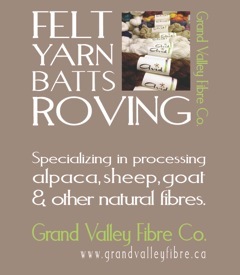 Maple Sweet was an obvious evolution and extension of our alpaca farm, and fibre processing business, Grand Valley Fibre Company. But why stop there? If interest was there for fibre enthusiasts, including spinners, weavers, knitters, rug hookers and felters, many of whom pursue more than one discipline or craft, then could it extend further? We soon started to reach out to quilters, scrap-bookers, artists and then to the entire social community, including church groups, boy scouts, friends and families and discovered that many were seeking a gathering place for their respective groups. The more we reached out to various individuals and groups for feedback, the more favourably the idea of a retreat was received and the more interest was initiated to establish such a place. The key response was to keep it affordable (ie less than hotel pricing) for everyone. The vision soon started to become a reality! Before becoming Maple Sweet, the farm operated as a private boarding school for ‘at risk’ high school aged girls from 1998 to 2010. It was accredited by the Ministry of Education and as such, met all ministry standards with regard to infrastructure. Classes were held throughout the property including the barn and the old farmhouse and the log cabin was used as the administrative building and guidance offices. We are in the process of converting this building into our private residence. We purchased the property in 2014 with the vision of renewing and repurposing it as a gathering place for like minded individuals to pursue their passion. The main dormitory was given a facelift to remove the institutional appearance and replace it with a warmer, more comfortable atmosphere. As you become familiar with the surroundings, note the decor in each of the bedrooms which are accessorized in provincial themes. As with the entire property, this continues to be a work in progress that will evolve over time and we welcome your suggestions based on your cross Canada travel experiences. The retreat is neither a bed and breakfast nor a hotel, but a cost effective accommodation option for groups. We provide the bedding and invite the groups to bring their own food and do their own cooking to keep their cost down, using the full suite of kitchen amenities provided by Maple Sweet, including 2 induction/convection ranges, refrigerators & freezer, microwaves, dishwasher and barbeque. We provide all of the cookware, dishes and servingware. Catering will also be available through local businesses should guests not wish to participate in the self catering option. We have recently added a 58" Smart TV as well as a Karaoke system for indoor entertainment or unleash your competitive side with a board game and bring back memories from your childhood. Use of the second building for workshops and seminars will be available, as will use of the grounds for outdoor activities at no additional cost. We invite our guests to develop their own programs or take part in one of ours, but most importantly to make themselves at home and rejuvenate in the freshness of the country air. Maple Sweet is set in the small rural community of Rocklyn, Ontario and offers the seclusion of 75 acres of farmland including 40 acres of woods and a seasonal stream. The opportunity to marvel at the stars and to enjoy a campfire at the end of a satisfying and enriching day of activities completes the rural experience.